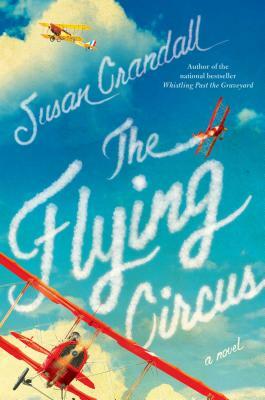 "The Flying Circus is Susan Crandall at her best—a colorful, rich and historical tale of the early years of flight. Heroes and villains and an achingly sweet romance will pull at the reader's heart long after the last page is turned. I loved this book!" "An exhilarating, memorable flight into the world of barnstorming in the 1920's, with all the twists and turns of an aerial acrobat. Compelling characters and a fascinating setting make this journey a sheer joyride. Satisfying and delightful!" "Deeply moving. A richly drawn story of love, loss, and redemption with characters as finely tuned as the planes they fly." "Crandall has crafted a wonderfully charming, memorable and thought-provoking read." "A big-hearted novel of three outcasts who build a death-defying 'barnstorming' show and form an unusual family." "It’s not easy to keep such a young narrator convincing for more than 300 pages... Readers will take to Starla and be caught up in her story."